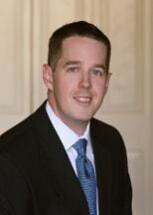 James (Jim) Marrow is an experienced trial lawyer and appellate specialist. Jim has tried more than a dozen lawsuits and handled hundreds of appellate matters in private practice and as a former appellate court staff attorney. Jim has managed trial and arbitration matters from beginning to end, including the formulation of initial strategy, discovery, mediation, trial or arbitration, and appeal. Jim has tried cases from both sides of the docket, winning judgments for both plaintiffs and defendants. Jim has significant experience and is board-certified in civil appellate law. As an advocate, Jim has handled appeals in both state and federal court and written more than forty appellate briefs and mandamus petitions. In addition, before joining the firm, Jim was a staff attorney with the Fourteenth Court of Appeals. There, he worked on a wide variety of appellate matters and drafted close to 100 opinions for the Court's justices. Jim also developed extensive knowledge with original proceedings as one of the court's mandamus attorneys, including an in-depth familiarity with the evolving mandamus standards in Texas. Because of his unique experience, Jim is able to efficiently evaluate his clients' appellate matters and give specific advice about strategy and their chances on appeal. Jim is an Eagle Scout and remains active with the Boy Scouts of America, including service as a Cub Scout leader, Cubmaster, Assistant Scoutmaster, and Boy Scout merit badge counselor. Jim also volunteers his time to the Houston Bar Association's Legal Line program and the HBA Appellate Practice Section's Pro Bono committee, and to the pro bono representation of Texans unable to afford counsel. In 2017, Jim was named a "Top Lawyer" in the field of appellate law by Houstonia magazine. In 2002 and 2004, Jim co-authored several CLE articles that were published by the National Business Institute in three seminars: “Advanced Personal Injury Practice in Texas,” “Keys to Effective Expert Witness Examination in Texas,” and “Trying the Automobile Injury Case in Texas.” These articles covered a diverse group of topics, including legislative and case-law updates, the Long-Term Care Facility Improvement Act of Texas, Internet resources for personal injury practitioners, the qualification and exclusion of expert testimony under Daubert v. Merrell Dow Pharmaceuticals, Inc. and E.I. du Pont de Nemours & Co. v. Robinson, techniques for examining various expert witnesses, legal ethics, legal privileges, the Stowers doctrine in third-party insurance litigation, and post-trial and appellate remedies. In 2005 and 2006, Jim spoke at several continuing education seminars regarding use of the Internet in litigation and the nuances of Civil Practice and Remedies Code Chapter 74. In 2015, Jim portrayed U.S. Supreme Court Justice Louis Brandeis in the Garland R. Walker American Inn of Court award-winning presentation “Write to Be Heard: Legal Writing.” In March 2015, Jim participated in a panel discussion presentation to the Houston Bar Association’s Appellate Practice Section, entitled “Tales from the Clerks: Tips for the Appellate Practitioner.” On October 24, 2017, Jim participated in a State Bar CLE webcast, entitled "What Appellate Lawyers Want Trial Lawyers to Know." Jim is also a regular contributor to the HBA Appellate Lawyer newsletter.